It was reported that some dare devil armed robbers on Thursday, invaded a branch of a commercial bank in Ifon, in Ose Council Area of Ondo State killing three policemen. The robbery operation occurred shortly before 4pm when the bank was winding up the business of the day. 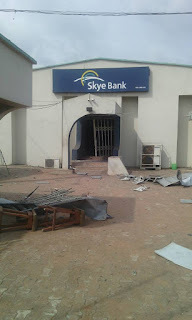 Eyewitnesses said the heavily armed robbers came in three vehicles and blew the bank’s door with dynamite. Some policemen attached to the bank were said to have engaged the robbers but three of them lost their lives in the gun duet. The robbers escaped with unspecified amount of money. The Ondo Police Spokesman, Femi Joseph who confirmed the attack and death of three of his men said the Commissioner, Gbenga Adeyanju has already visited the scene. 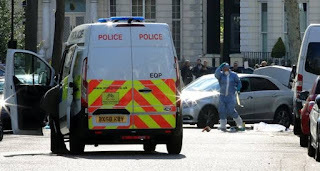 He commiserated with the families of the slain officer’s, saying the command will release their identities after they have been formally briefed of the sad incident. Joseph said that the command was on trail of the robbers and appealed to the people to provide relevant information that will lead to their arrest. He assured that that command was on top of the situation in the state, stressing that the people should go about their lawful businesses without fear.